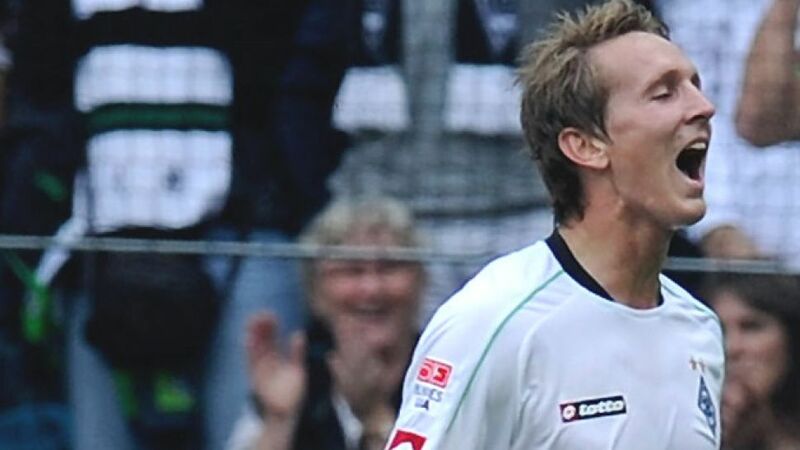 De Jong: "We needed this win"
Mönchengladbach - Borussia Mönchengladbach can win after all. After a drought of seven games, the Foals finally downed previously-unbeaten Eintracht Frankfurt 2-0 thanks to fine goals from and . Afterwards, the latter spoke of his relief, both personally and for the team, at getting a goal and the three points. De Jong: Yes, it's a good feeling. We're pleased that we won today. Leading 2-0 at half-time gave us a lot of self-confidence. It wasn't an easy game, but we were compact and hardly let Eintracht have any big chances to score, while we grabbed two ourselves and won the game. We needed this win. Question: How much good does the win do to you after the defeats and many goals you have conceded in recent weeks? De Jong: It was an important victory. Our last few games didn't exactly go how we imagined so this win will give the whole team confidence again. Now we now want to carry on like this. We want to be strong defensively and win games. That won't be easy, but we know that, this way, we can still take a step forwards. It was important to win this game prior to the international break. De Jong: True. Every striker likes balls like that. It was a goal on the counterattack from an excellent pass from Harvard Nordtveit. I was in space and hit it on the volley with my left foot, really putting everything into it. It was a nice goal. Normally I'm a predator in the penalty area, but if I find the space, then I do try to come deeper at the right moments. When you get a ball like that, of course you want to do something dangerous with it and it came off this time. Question:: Had you taken inspiration from Juan Arango, who scored an incredible goal beforehand? De Jong: No. Juan is capable of scoring such goals and he shows that all the time in training. He hits them in such a way that they bend in different directions in flight. Question: How important were your two goals in the games against Fenerbahce and Frankfurt? De Jong: It's always nice to score, but as I said before, it's worthless if I score and we lose the game. But I'm a striker and of course I'm pleased when the ball hits the back of the net. Question: The fans gave you a standing ovation when you were substituted. Surely that felt good after a difficult first few weeks here? De Jong: It's always great to get such a reaction from the fans. They've given me a great welcome here right from day one. Gladbach have great fans and they've always been behind us in recent weeks. It was nice that we were able to give them this win - they deserved it. Question: You now go off to represent your country, although not the senior side. How disappointing is it that you weren't called up by Louis van Gaal? De Jong: Well, of course I'm a bit disappointed. Everybody wants to play for their national team, but now I'm focusing on the Under-21s. I'm looking forward to it. I'm still at an age where I can play for them and we have an important play-off against Slovakia and we want to qualify for the European Championship finals. Tobias Gonscherowski reporting from the Borussia Park.